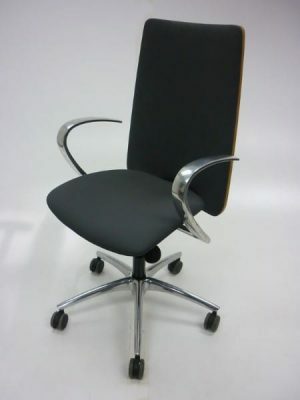 We are lucky to have these Oken Neko operator chairs in stock. Designed by Josep Llusca, these chairs have a unique contemporary style. Upholstered in an embossed dark grey fabric with a beech effect back, these sleek chairs will add understated style to your office. Synchronous action with tension control.